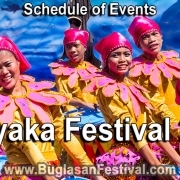 The Puhag Festival 2018 in the highland area of Valencia, Negros Oriental was flooded with the sound of music and colorful festival colors. Read more! The successful festivity of the Yamog Festival 2018 marked the 2nd annual celebration of the municipality of Pamplona last October 06, 2018. Gallery here! 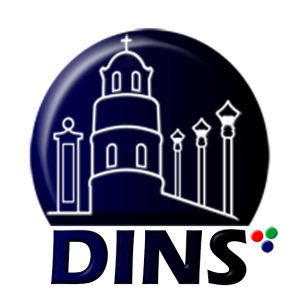 The Sandurot Festival 2018 in Dumaguete City held the Street Dancing and Showdown last September 22, 2018. Read more, view gallery and watch the video here! This year’s Puhag Festival 2018 in Valencia is themed “Chada Valencia Protecting the Environment. Our Heritage & Legacy”. Find Schedule here! The Hudyaka Festival 2018 of Bais City last September 07, 2018 was nothing else but a huge success! Read more, View Gallery and Watch Video here! 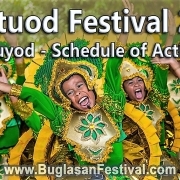 The Mantuod Festival 2018 of Manjuyod, will be celebrating their festivities from September 04, 2018 till October 02, 2018. Find video and schedule here! The Sandurot Festival 2018 is finally here! 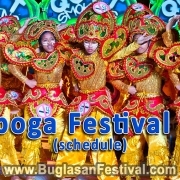 Who else is excited to celebrate the festivities of Dumaguete City? Check out the full schedule here! Bais City will celebrate the Hudyaka Festival 2018 and its 50th Charter Day celebration from August 10, 2018 till September 10, 2018. Find Schedule here! The Wayboga Festival 2018 of Amlan is indeed one of the most interesting festivals in Negros Oriental. Read more and find the schedule of the event here! The Tanjay Fiesta 2018 will be a month-long celebration that will start on the 1st of July till the 30th of July 2018. Find the full schedule here!